We now live in a world where people hardly detach from their mobile phones. The ever-growing array of our smartphones’ capabilities means more and more tasks can be completed in our handheld devices. And the craze is clearly indicated from a recent Deloitte survey which says that half the mobile population check their phones almost as soon as they wake up! 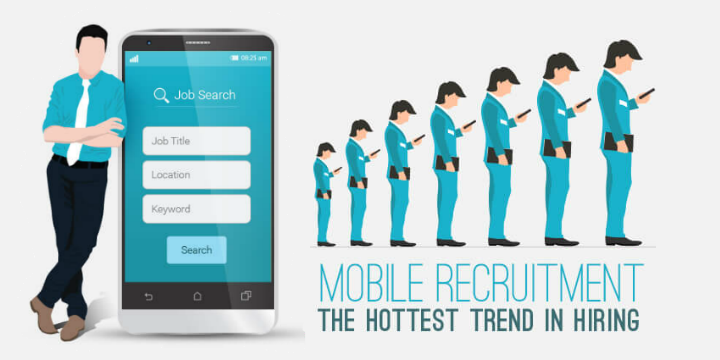 This craze has now even flowed through to recruitment and job-hunting, with 62% of UK job seekers believing that searching for jobs on smartphones gives them a much better experience. As the world switches over to mobile-first, employers are having to play catch up in an effort to target applicants and attract the best talent.